What is the situation in which a debt-laden company paying out dividends compulsively? For example: TEXCHEM (8702, TEXCHEM RESOURCES BHD), distributed a dividend of RM0.10 on 15-Jan-2018 (which cost RM10.08 million). 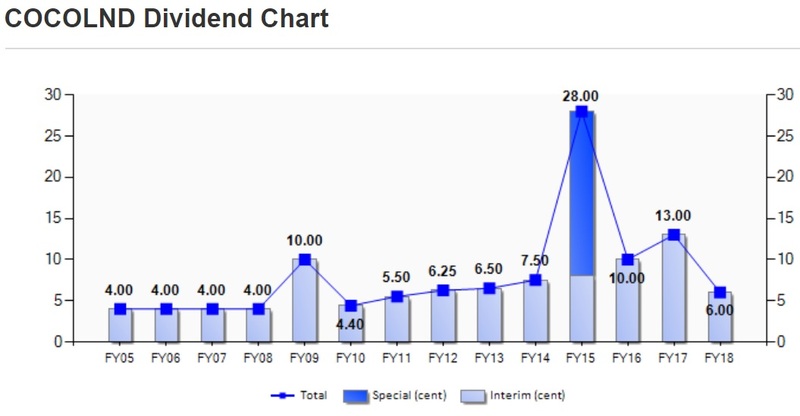 Based on the current stock price of RM0.70, the dividend yield is 14%! But if you read its liabilities, long-term loans of RM16.46 million, short-term loans of RM160m, total loans of RM180m, and only got RM81.15 million cash in hand. The interest expense for one year is RM9.28 million. So TEXCHEM can't pay stable dividends because it has to settle its RM180m loans! Instead, let's look at COCOLND (7205, COCOALAND HOLDINGS BHD). This is a net cash company with RM87.42 million in cash and FD on hand, no loans! Distributed RM43.47 million dividend in FY18. Because it is a net cash company, it can pay stable dividends. Do you want the company to pay dividends in a compulsive way, or give back to shareholders the "extra" money?